Nobody sees all of my needs, better than you. From what I was born to be. 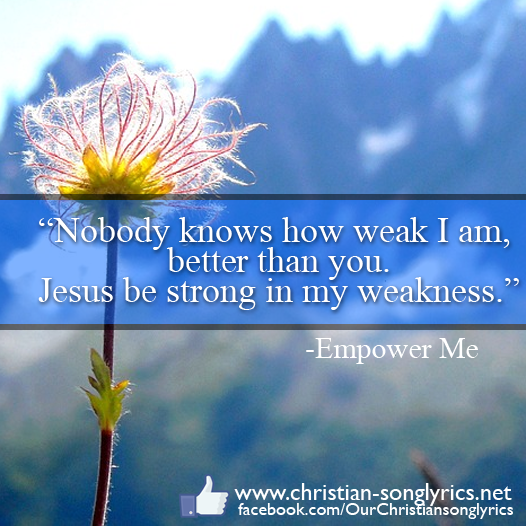 Jesus be strong in my weakness, empower me! Empower me, like a rushing river flowing to the sea. Lord, send your holy spirit flowing now through me. Jesus break through all my defenses, empower me. Send the power of your love, empower, empower me. Very good. Thanks, i need the lyrics. Am trying to memorize the song.